The two-year limitation period for a personal injury claim begins from the date the plaintiff knew, or should have known, that a legal action is an appropriate means to seek a remedy. 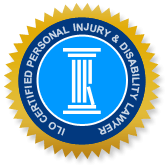 Stated in another way, the two-year limitation period begins to run when an injured person became aware that they suffered an injury or loss caused by a given party and a legal proceeding is the appropriate way to seek a remedy. In most cases of personal injury, the two-year limitation period begins on the date someone was injured. Ontario's Limitations Act s. 5, defines when the limitation period begins or is ‘discovered’ as follows. 5. (2) A person with a claim shall be presumed to have known of the matters referred to in clause (1)(a) on the day the act or omission on which the claim is based took place, unless the contrary is proved. A recent medical malpractice case, raises the issue of discoverability when a patient is in the process of undergoing treatments by a physician who is trying to correct damage associated with the patient’s previous treatment or surgery. In Brown v. Baum, the defendant doctor sought summary judgement to have the plaintiff’s claim dismissed for being past the limitation period. However, the judge dismissed the defendant’s motion, on a finding that “it would be unreasonable and inappropriate” to begin the countdown for the two-year limitation period while the plaintiff was still undergoing their doctor’s “good faith efforts to achieve a medical remedy”. The defendant appealed this decision in Brown v. Baum (2016), but the Ontario Court of Appeal upheld the motion judge’s original decision. This case involved a plaintiff who underwent breast reduction surgery in 2009, performed by the defendant. The initial surgery was not successful and the patient developed complications, including wounds that opened up, infections and pain. She required several additional surgeries in which the defendant doctor attempted to fix the various problems and errors. Then, in June 2012, more than three years since her first surgery and almost two years since her last consultation, the plaintiff issued a statement of claim against the defendant. The plaintiff testified that she had no idea the surgery would lead to so much pain and scarring, both mentally and physically. She alleged that her surgeon (the defendant) left her with the impression that the surgery would be 100 per cent successful, and if she had been told that her chances were less than 50 per cent, she would not have elected to have the surgery. She did not find out until after her initial surgery, that smoking and being obese would reduce her ability to heal, and that knowledge would have caused her to make a different decision about this elective surgery. Accordingly, the plaintiff’s claim alleged a lack of informed consent, regarding the risks or possible outcomes of breast surgery. On the issue of discoverability with respect to the commencement of a limitation period, the motion judge found that although the plaintiff knew, in July 2009, that she had suffered injury due to an act or omission by the defendant, because she was continuing to be treated by the doctor to ameliorate her complications, she did not know that a proceeding would be the appropriate way to seek remedy for her injury. Therefore, the limitation period did not begin until the date of her last reconstructive surgery and as a result, her claim was commenced within the limitation period. The Ontario Court of appeal found the motion judge made no error in his reasoning. The motion judge was entitled to find that the plaintiff did not know it was appropriate to sue her physician until after the last surgery in which he tried to correct the complications from the original surgery. The appeal judge agreed that it is not simply the ongoing treatment relationship between a patient and doctor that prevents discoverability of a claim. Rather, it is the fact that the doctor was taking good faith efforts to fix the damage and improve the outcome of the first surgery, and if successful, this would have avoided the need to sue. If you or a loved one sustained injury due to a probable medical error or another form of negligence, call a respected and experienced personal injury lawyer at Injury Lawyers of Ontario. We provide a free initial consultation which serves as an excellent opportunity for you to have your legal questions answered and to learn about the strength of your claim and the best strategy for obtaining fair compensation for your losses.